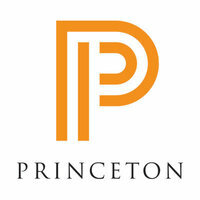 A call for applications has been announced for the 2015-16 Fung Global Fellows Program on “Ethnic Politics and Identities” at Princeton University. The program brings exceptional international early-career academics working in the social sciences and humanities to Princeton for an academic year of research, writing and collaboration. The 2015-16 theme explores the causes, narrative modalities, and consequences of the politicization of ethnic, racial, and national divides from a comparative perspective. Inquiries can be made at fung-gfp@princeton.edu.